Is Christina Aguilera quitting The Voice on NBC? Christina Aguilera and Gwen Stefani’s feud is no secret – Christina hates the thought of not being the only leading lady on the show, and she is green with envy over the fact that The Voice fans adore Gwen, and can’t stop talking about Gwen and Blake Shelton’s relationship. Christina thought she had done away with that Gwen problem in Season 10 – but that’s not the case, Gwen isn’t even a judge anymore and she is still stealing Aguilera’s spotlight! What Christina despises about Gwen, according to buzz on the net, is that Gwen appears to be a conceited showboat who can’t even sing without auto-tune. It’s safe to say that Blake Shelton has a little bit of pull on the set of The Voice – and apparently the country singer used his “pull” to make sure that his girlfriend Gwen Stefani got to star on Season 10 of the show, even if it wasn’t as a judge. Naturally, Christina Aguilera freaked out. 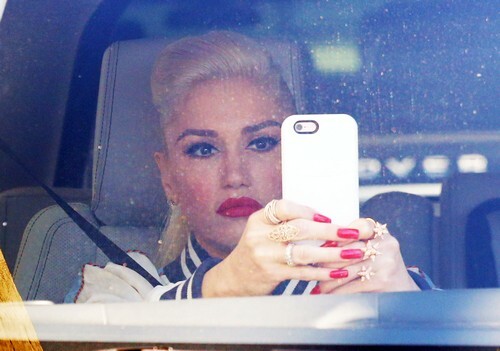 Not only can she not stand Gwen, and is livid she has to share a season with her, but Gwen and Blake’s relationship and PDA is going to totally overshadow Christina’s big return, actually it already has begun to. According to OK! Magazine, the feud between Aguilera and Stefani has been really heating up since the Season 10 premiere – and Christina has already had a meltdown backstage and threatened to quit the NBC singing competition when she realized that Blake had lobbied to bring Gwen back, and that his and Gwen’s PDA package was being shot by camera crews and their relationship would be front and center this season. Will Christina Aguilera quit The Voice? Probably not, the network’s contracts are iron clad and she would probably have to lose a limb to get out of them. But, later in the season The Voice will be live and in front of an audience, we can’t wait to see if Christina and Gwen’s feud turns to a full-blown physical catfight. Or maybe Christina will have a The Voice meltdown on camera and curse out Gwen Stefani and Blake Shelton? Let us know what you think in the comments below and come to CDL for all The Voice news, recaps and gossip! Christina Aguilera Pregnancy News: Gwen Stefani’s The Voice Job Safe? The Voice Season 7 Judges Blake Shelton and Adam Levine Hate Diva Gwen Stefani – Pharrell Williams Not Far Behind!